At our weekly webinars, we get to meet a whole host of people who are always willing to give us a fascinating insight into the eCommerce industry and pass on their tips to enhance your site. 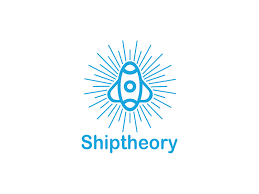 Meet Mark Mikkelson, founder of ShipTheory, as he guides you through the common questions and issues around shipping as you grow as an eCommerce business. Are you getting the best deal from your delivery service? ShipTheory recently joined UKFast for an eCommerce webinar discussion. Choosing the right delivery company is essential to the success of an eCommerce business, and yet, many online retailers are failing to maximise profit and customer satisfaction by using services that don’t fully meet their needs. In a busy day to day environment, it can often be tricky to keep track of the number of orders being sent out. So how do you know if you are getting good rates for your shipping? Look carefully at the volume of shipments you are typically sending each week or month – this gives you a firm starting point for negotiating with carriers to achieve the best possible price per delivery. Contrary to what we are often told, size really DOES matter in the shipping world. Look carefully at the size of the packages you are sending. Many carriers use a particular tray size when setting tariffs. Ask the carrier prior to quote what their tray sizes are. Generally the smaller you can get your packages, the cheaper they are going to be to send. If your average order could fit into a 200mm x 200mm x 200mm box, but you’re using larger boxes as standard to fit bigger products, then each of your orders likely fall into a larger tray average, pushing your prices up. Simply buying and using smaller boxes for more of your orders could save you thousands of pounds each month! It’s important to make sure the level of insurance you have is applicable to your orders. Check your insurance carefully. Most couriers offer a standard flat rate insurance amount per consignment, but have optional extra insurance that you can add. For instance, you may have an order that was sold to a customer for £110, but you only have insurance of £75 on all shipments with that courier. Should that item go missing or get broken, you are out of pocket for the difference. Always check that different insurance packages are available before signing up with a courier, and make sure you add extra insurance when necessary. 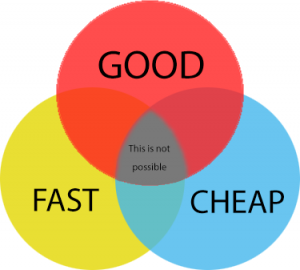 Unfortunately, it is increasingly common to see negative reviews from unhappy customers on retailers’ sites, not because a product is poor or unwanted, but because the courier let the customer down, either failing to deliver their order on time or delivering it without due care and attention. Reliable and timely delivery is essential to customer satisfaction. As a retailer, it is your responsibility to make sure your customer gets the best service possible, even after their order has left your premises. This old adage is never truer than in the shipping world. Consider which of these are most important to you. How much does each order cost to send on average? Do you need to do this to keep up with competition? Will this give you an edge over your competitors? Why are customers abandoning carts at present on the checkout screen? Delivery charges are an important factor in cart abandonment. Surveys suggest that up to 71% of people have abandoned an online order due to high delivery price. This is something you should be aware of when choosing a courier company and setting your delivery charges. When researching different courier companies, it’s important to think carefully about the items that you are sending. Do you frequently send ‘uglies’? These are awkward or large items that are difficult to place into sorting machines and require more than one person to lift (think non-square, unevenly weighted items). Or, do you often post packages to premium zones, such as the London Congestion Zone, or hard to reach places like the Highlands and islands around the UK? When choosing a courier service, look carefully at the delivery options they offer and how they can best suit your needs. Many couriers charge extra for irregular item sizes or more difficult delivery zones, while others will include these features as standard. Be prepared to read the small print carefully and ask lots of questions: often the cheapest option isn’t always the best option for your company. Remember there are thousands of different couriers specialising in the delivery of specific orders, from livestock through to dangerous chemicals and everything in between! If you sell products with specific delivery requirements, choosing a specialist company can help save you money and increase customer satisfaction. One common example of a specialist product is fragile items: rather than risk normal postage, you may want to seek out a courier that can guarantee your packages are hand-sorted and never see a sorting machine. While you may pay more for specialist delivery services, ultimately you could save money in the long run by reducing the number of breakages and negative reviews. Do your research. Speak to other retailers who sell different categories of goods to yourself and find out what they pay. When did they negotiate their rates? Couriers have sales people and these sales people have targets. These targets typically tend to be based on sales over a monthly, quarterly or annual period. Consider this when negotiating rates: is it the best time? Get to know your couriers. Knowledge is power and, the more you know, the better the position you’ll be in when you try to negotiate your rates. If you don’t get a good quotation from a courier service at first, wait a few months and try again. Territory, targets and staff continually change, and the price you were offered today could be drastically different in a few months’ time. When you see a price you like, take it! Negotiation is essential, but when you’re offered a price you like, take the deal. Rate offers tend to have expiry dates and, as previously mentioned, things can change quickly. The last thing you want to do is build projections based on the proposed rates you’ve received, only to find that the amounts have changed when it comes to signing on the dotted line. As the webinar discussion with UKFast made clear, reliable and affordable delivery is essential to the success of any eCommerce business. With thousands of different courier services available to retailers in the UK, are you getting the best deal from your current provider?